How do I redeem my McDonald's Monopoly voucher for entry to SEA LIFE Kelly Tarlton’s? How does the Second Chance Draw/Free Spin game work? How do I redeem the $10 off single ticket offer I won through the McDonald's Monopoly Promotion? Is there a mobile version of the voucher that I can bring? What are the terms and conditions of the McDonald's Monopoly promotion? 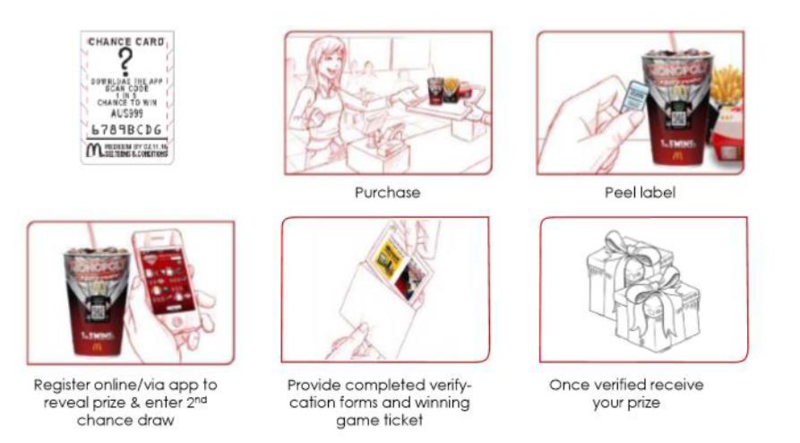 The Second Chance Draw allows you to have use a "Chance Card" to win any of the promotional prizes including entry to Merlin Attractions such as Madame Tussauds Sydney. If you win entry for a Merlin attraction as part of your "Chance Card" you may redeem this through the McDonald's website here for your chosen attraction, for example SEA LIFE Kelly Tarlton's. You will then need to follow the standard redemption process of printing out your entry voucher and attached you Chance token to exchange for you entry ticket at SEA LIFE Kelly Tarlton's.